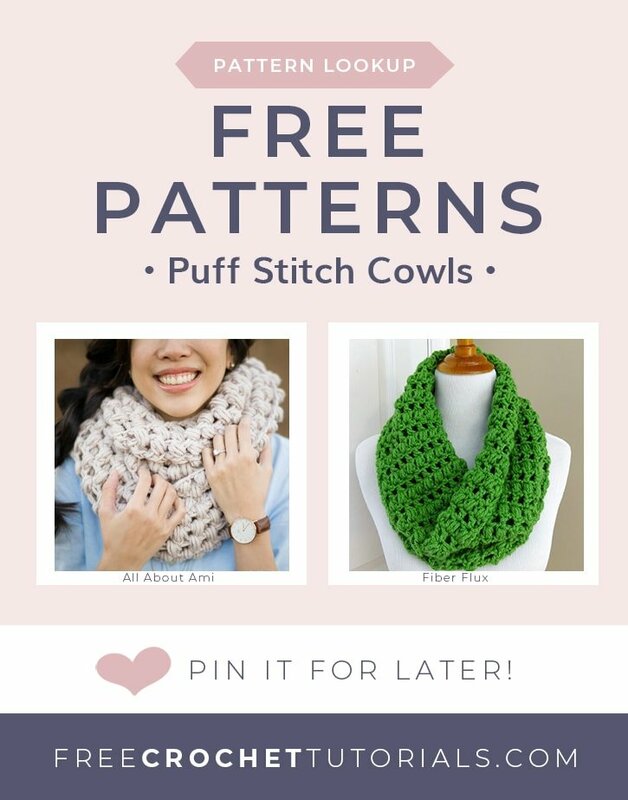 This post includes links to free puff stitch cowl patterns. 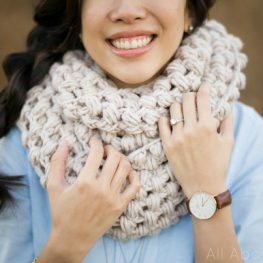 These beautiful cowls and puff stitch infinity scarves have the extra ‘squish’ factor that makes them super cozy to wear in the cold winter months. 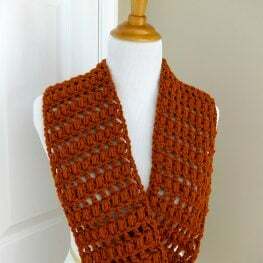 This long Puff Stitch Cowl is crocheted in bulky weight yarn with a 9 mm crochet hook. It is a cowl that you can snuggle into and stay warm, even on a cold day. This finished cowl in 13 inches wide and 30 inches around. Lovely and soft, it is worked in alternating rows of double crochet and puff stitches. 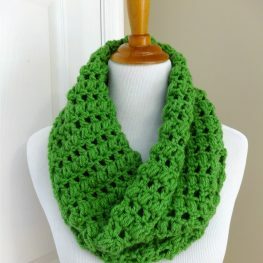 This lovely infinity scarf measures 5.5 inches wide and 36 inches long. 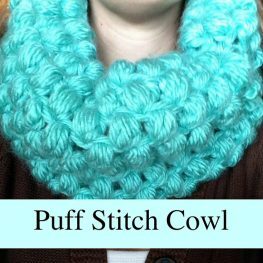 Work this Puff Stitch Cowl with a 9 mm hook and Bulky yarn. Lovely and squishy to the touch! The Malia Classic Cowl measures 30" circumference and 12" tall. This classically beautiful cowl has a matching hat and boot cuffs pattern available too! 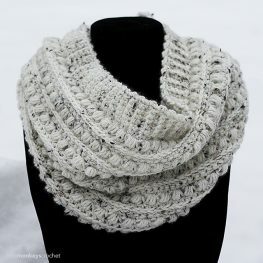 Approximately 10.5″ wide and 28″ long, the Snowy Path Cowl is soft and chunky and cozy for winter! 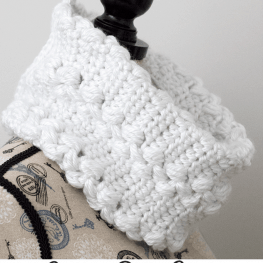 This excellent video tutorial gets straight to the point and teaches you how to make your own Puff Stitch Cowl in less than 30 minutes.